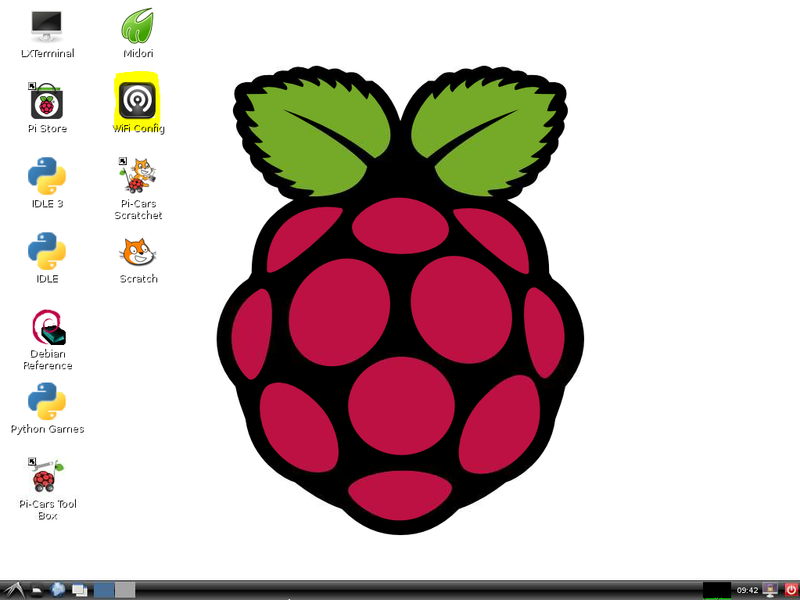 Login to your Raspberry Pi either with a keyboard and mouse connected by pressing ‘startx’ at the prompt, or connect remotely using VNC viewer as shown in this post. 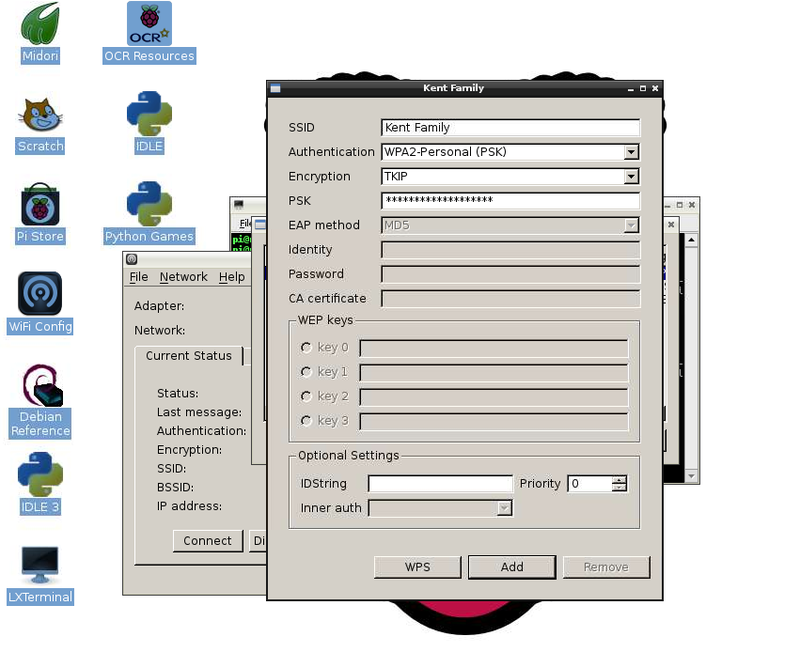 Double click on the wireless configuration icon in order to add password details for your wireless network. 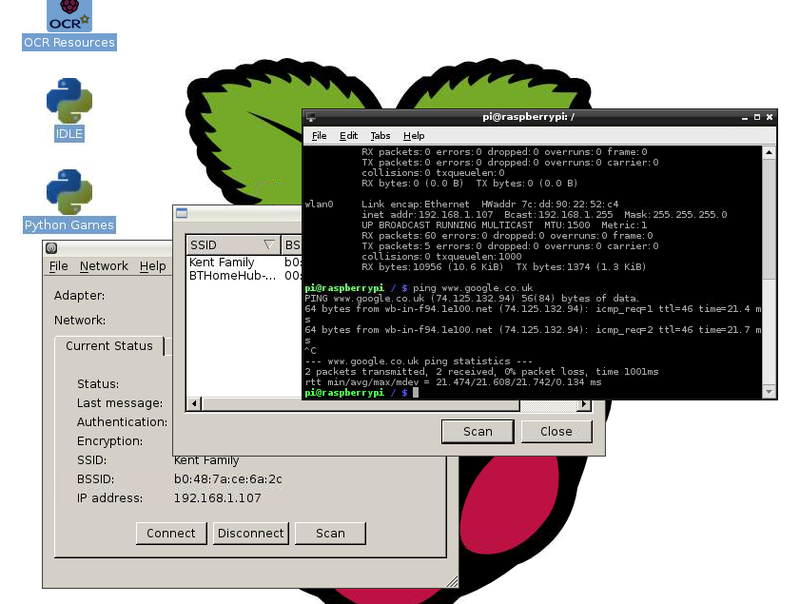 Clicking on wireless config on the Raspberry Pi desktop brings up this page. On the desktop click on Scan to show the available networks. Once you have double clicked on the wireless network you want to join this screen should show. Your password can be entered in the PSK field. 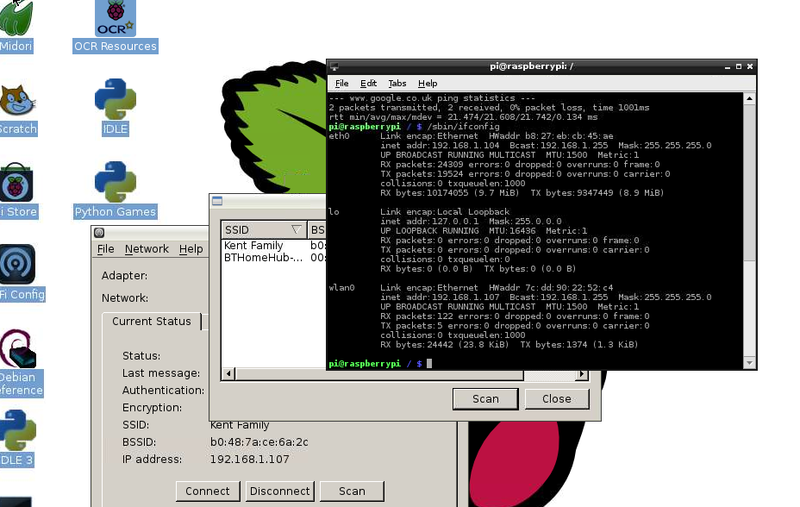 Checking you can ping google with the wireless network setup. 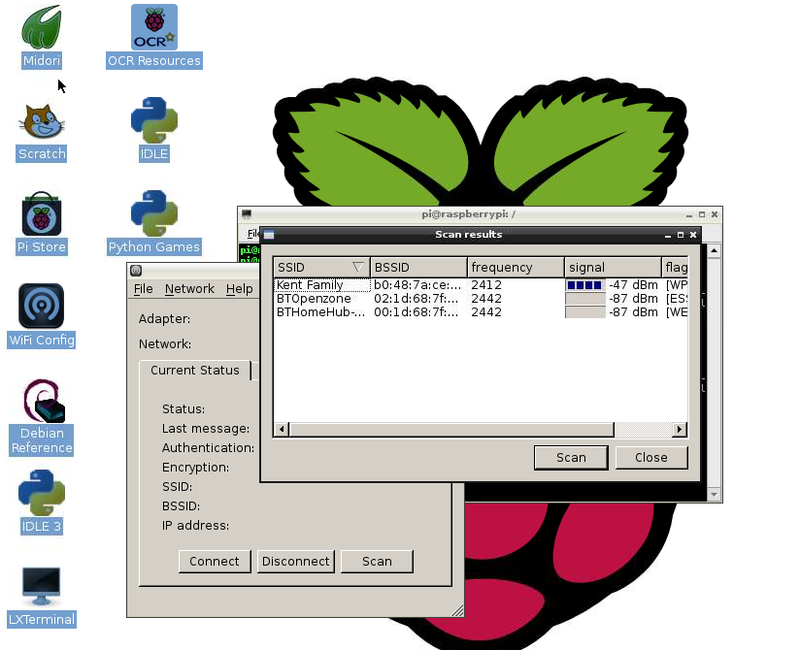 Output screen showing the setup on your interfaces. 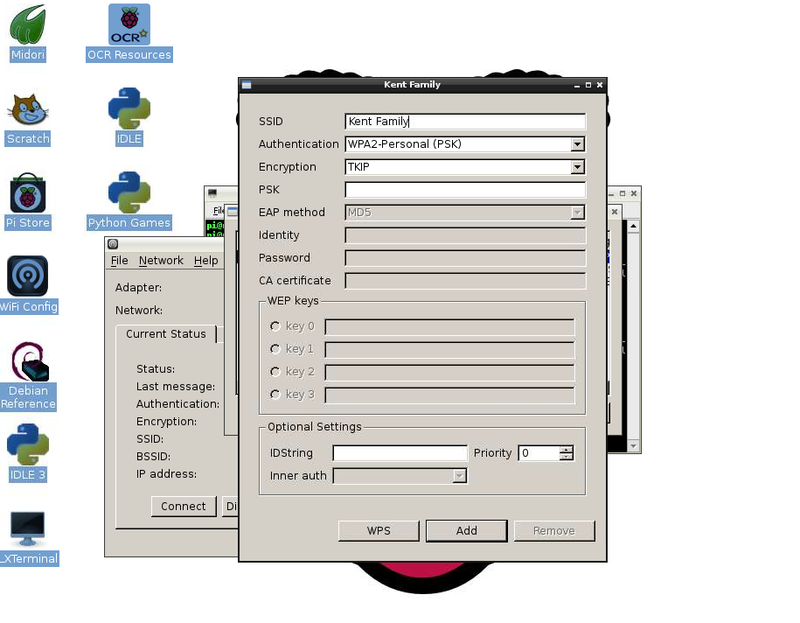 This entry was posted in Uncategorized and tagged raspberry pi, remote access, startx, vncviewer, wireless setup. Bookmark the permalink.